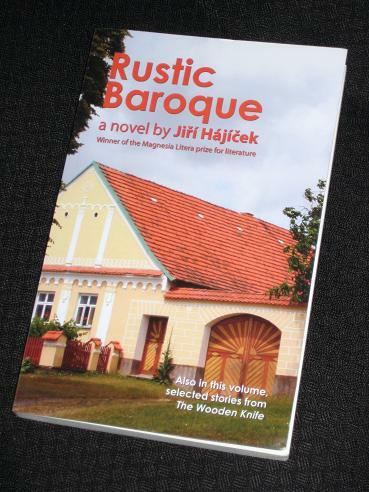 Jiří Hájíček’s Rustic Baroque (translated by Gale A. Kirking) is set a few years back in the Czech countryside, but it is also concerned with the events of the farm collectivisations of the 1950s. The main character is Pavel Straňanský, a genealogist who reluctantly takes on the task of uncovering an old document – one which will compromise a local politician as it reveals his family’s informer past. In the company of Daniela, an attractive tourist from Prague who is researching her own family tree, Pavel visits the villages of the south Bohemian countryside, interviewing the locals and digging up information. The more Pavel learns about the events that occurred fifty years earlier, the stronger his pangs of conscience become – should he reveal what he has found or leave the past buried in the sleepy countryside? Is it all worth it, or is he just a loser, stuck in the sticks, after all? And what does Daniela want from Pavel anyway – a summer fling, or something more? I enjoyed this novel, and the four bonus short stories from Hájíček’s collection, The Wooden Knife, but it would be unfair (possibly unethical) of me to finish the review without revealing a major issue I had with the book – the translation. I enjoyed Rustic Baroque despite the translation, not because of it. I found it stiff, overly formal, unnatural – and (in some places) grammatically incorrect. Translators have to walk a fine line between conveying the essence of the original text and creating a piece of writing that works in English – Kirking’s translation certainly erred on the side of following the original to the letter, even to the extent of using unnatural sentence structure (presumably to stay closer to the Czech version). This was particularly true for the dialogue, which rarely sounded like natural spoken English. It is a shame because this is a story that many people would enjoy. I remember while reading the book that I wished Pavel or the author would take more of a stand was taken on the question of past wrongs being righted, but then I think that's the novel's point–to present both sides of the dilemma you mention. Good to see your comments.